Last Friday we had a death in the family. One of my very close aunts passed away. She was quite young, in her early 60s, died because of cardiac arrest. On December 02, while doing her normal work at home, she suddenly complained of breathlessness, vertigo and collapsed. She was rushed to the hospital, spent two weeks undergoing all life-saving treatments including surgery but by December 14 she was no more. Reminds me of the saying ‘Man proposes, God disposes.’ No one had expected this sudden turn of events, this sudden death. She was looking forward to her son’s marriage on December 06, making preparations, running around organising things, while at the same time taking care of her ailing husband, hoping and praying that he would be hale and hearty to see his son’s wedding and that nothing would come in the way of the marriage. Till God decided to intervene. For some divine reason, he felt that the wedding needed to take a pause, that not my uncle but it was my aunt that he wanted in his heavenly abode. Why? That is a question that would be answered only in the future. Every news of death takes me back to the memory of that one man in my life who played an integral part in my life, The man whose mother’s name was Mehroo, whose wife’s name was Mehroo and whose granddaughter’s name is also Mehroo. 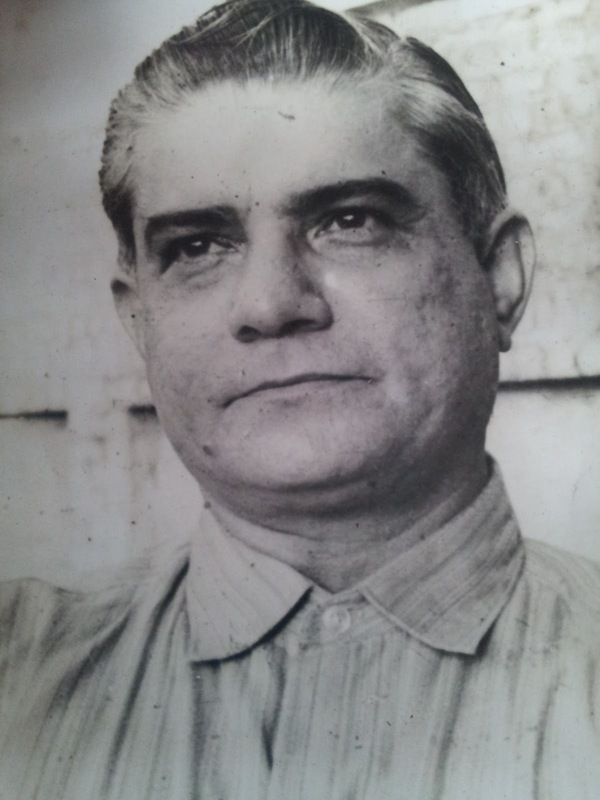 My Pappa (maternal grandfather). There has been no one like him in my life, no one who even came close. His death in September 2006 left a gaping hole in my heart. A hole that has managed to heal thanks to the hands of time, but one that manages to get scratched and bleed, if just a little, every time my thoughts lead me to him. 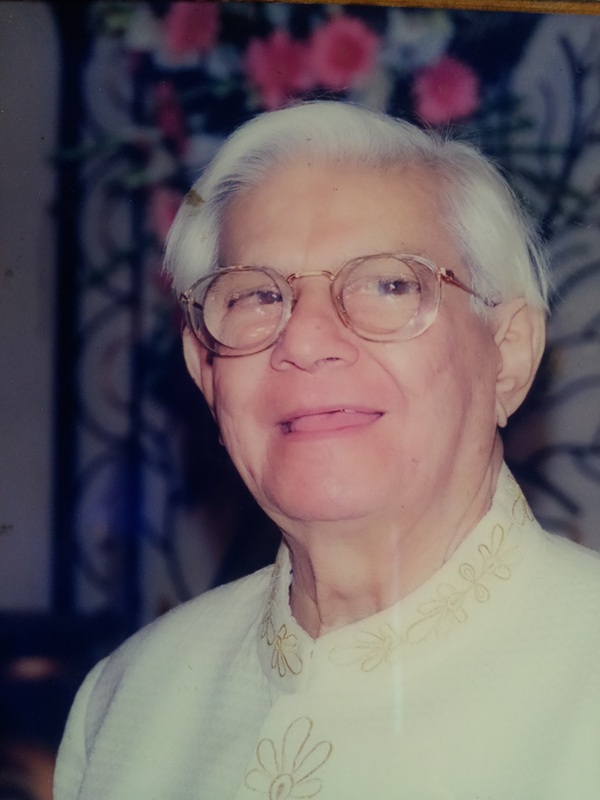 “Ardeshir Jeejeebhoy Khambatta“, I wish I could pronounce his name for you the way he did, with full authority – the way I can still hear him say. His voice, his face, his mannerisms still haunt me. I can close my eyes, hold out my hand to touch his and can still feel his hairy, slightly wrinkled skin, can feel his soft face which hardly ever had a stubble since he used to polish it clean inside out, can feel his soft, silky silver hair, which if I would ruffle would make his shaggy eyebrows wrinkle and then frown as he did not like anyone messing up his perfectly styled hair! It’s difficult to describe that man in just one blog post. There is so much to him that I don’t know where to begin. Maybe I will start from where most authors do. Right at the beginning. 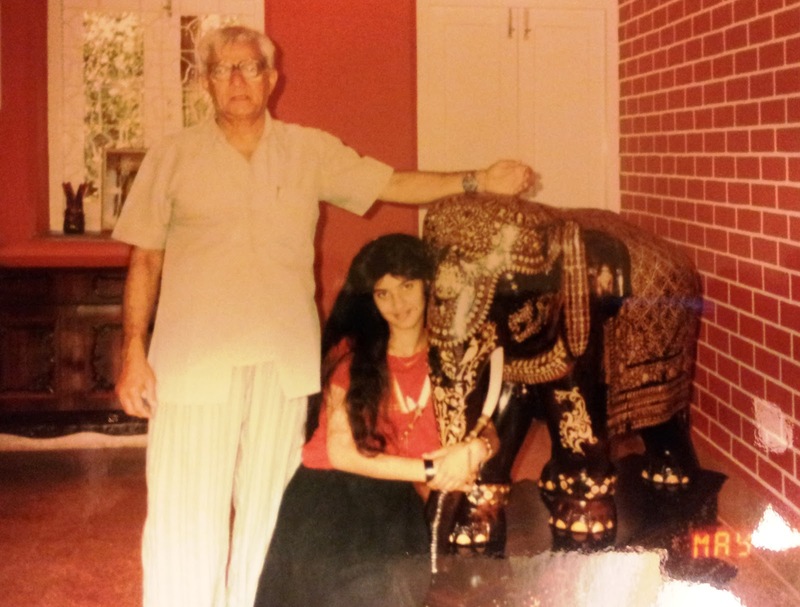 My earliest memory of my Pappa is when I must have been around 6 or 7 years old. He used to work in a textile mill at that time, and would come home smelling like the mill itself. He liked getting us small ‘gifts’ from the mill. Sometimes a big jar of ‘fevicol’ (adhesive) or sometimes a thick rope twisted into a ball! ”Ghani majboot che aai dori” (This is a very strong string) he would tell us proudly and display it. I would be very excited to see him home and would jump on him and grab his array of pens displayed in his shirt pocket, another brow wrinkling prospect for him as he was very possessive about his pens and would not give it to us to scribble. His favourite was the silver steel pen which had 5 colour refills in it. He would often take it out and display all 5 colours to us in procession and we would watch in complete fascination! Pappa was also very fond of perfumes and soaps and every year on his birthday he would get his stock replenished through our gifts. But what he was really passionate about was his love for shaving! He would sit in the bathroom for hours on end getting the perfect shave. Just one razor wouldn’t suffice for him, he had to have atleast three – one with a sliding blade, one with a tilting blade and one other old fashioned blade. “Joni jara blade buthi thai gayich su?”, he would ask me to test the sharpness of his blades. He would use the same ones for weeks on end and when I would put my foot down and demand that he change the blades immediately, he would finally agree and change them after another two days! But then he was brought up in a completely different world right? A world where necessities were to be carefully guarded and used frugally and luxuries were unheard of. Even when he would ask for a glass of water he would specify whether he wanted half-a-glass or a full-glass, as there should be no wastage. 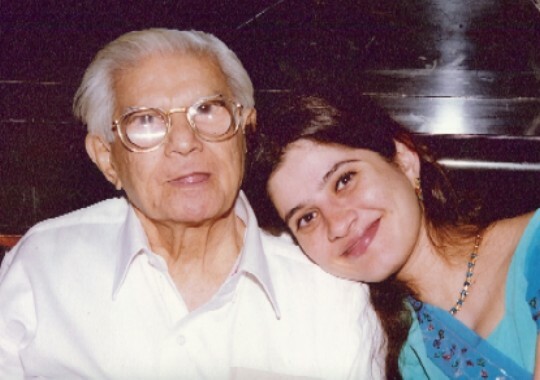 One of my fondest memories of him is once when my mother was shouting at me about something and I just did not want to listen to her, so I ran to my Pappa’s room where he was napping in the afternoon and hid under the covers with him. When my mum followed me there she kept calling out for me and while I was trying my best not to giggle, Pappa kept pretending to be asleep till my mum went out of the room! “Ave java deni!” (now just let them be) he would tell my mum when we would protest that she was making us study too much. “Aakho wakhat su lesson karavya karech?” (why do you make them study so much all the time?) he would say. Pappa was very fond of food especially sweets. He would love to sit and enjoy his meal slowly savouring every bit. After my father passed away he would complain that the meals prepared were not as good. “Jal na jamana jevi marghi ne machhi nai maleh!” (The chicken or fish is not like it used to be in the days of Jal (my father)), he would lament. Like me he always looked forward to going to Lonavla to our bungalow as for him it was a gastronomic holiday besides the clean, fresh, air and the change from normal routine. Another thing Pappa was very fond of and was quite popular for in our family was his love for poems, riddles and quotes, in English, Hindi and Gujarati. “Where are you going and what do u wish….the old man asked the 3” was one of the many. “Single L double O double N, D, put it together and give it to me.” was another one of the many. 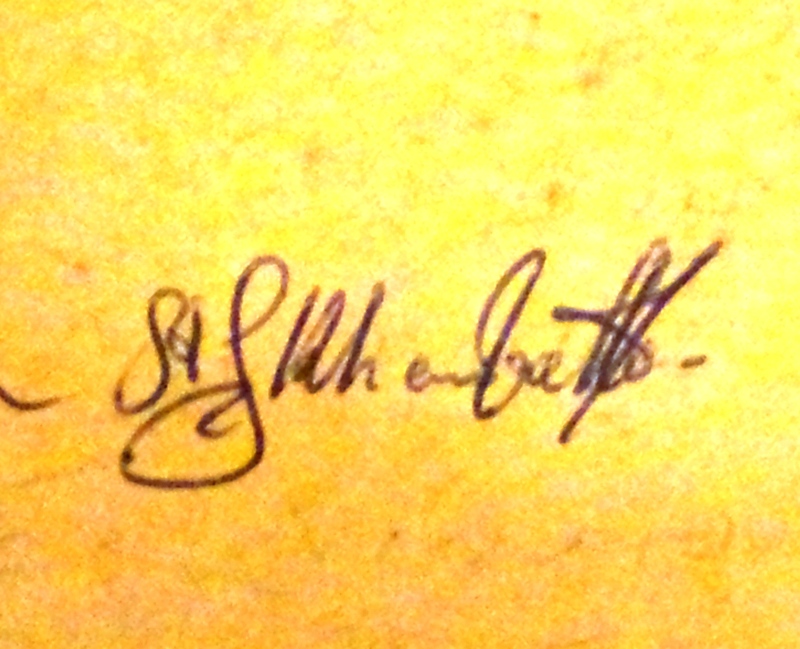 But my favourite was this one in Hindi. “Door se dekhi zulfeh, hain mera dil machla, hum najdik gaye toh kambakhat Sardarji nikla! !” (sorry – difficult to translate). As far as I can remember Pappa always used to be in a positive mood – cracking jokes, pulling pranks. Whenever anyone asked him his age, he would say “I am only sweet 16!” Sometimes he would quietly come up behind me and tap me on my shoulder and then quickly try and hide on the other side suppressing his laughter! My mother firmly used to believe in the adage ‘Early to bed and early to rise makes you healthy wealthy and wise’, so bed time was pretty early for us as compared to Indian standards and if she was busy then Pappa was assigned the task to make me and my sister sleep. I would look forward to the much repeated story of ‘Alibaba and the 40 thieves.’ He would start “Baghdad sehar ma beh bhaiyo rehta tha ….ek nu naam Kasam ne bija nu nam Alibaba”. He would narrate this story in such a soothing and slow manner that almost always my sister and I would be fast asleep by the time Kasam (the bad brother) reached the mountain cave and said “Khul ja sim sim”. Then the next night the story would be continued. Thanks to his abundant love and good humour all his grandchildren would clamour for his attention and would want to sit on his lap when given a chance. I remember sitting on his knee all the way from Mumbai to Lonavla on our weekend trips, with my sister sitting on the other knee! He was quite strong – my pappa, he used to train like a wrestler in his days. “Aapre to akhara ma jata hata, aai tama lok nu gym-vym kai kaam nu nahi.” (We used to go to the wrestling arena to exercise not to the gym like you all which is useless). He would give a lot of importance to physical workouts and display his biceps to us proudly. He would also show us his stomach muscles making his tummy go up and down and we would watch in fascination and plead “Pachu karo, pachu karo Pappa!” (do it again, Pappa) “Bus bus ave” (enough now), he would say and would shoo us off. Pappa taught me how to whistle. He would stand near our balcony window and make me practice till I got it right. He introduced me to the taste of tea. He loved pouring his overfilled big mug of tea into the ‘rakabi’ (saucer) and then sharing it with me. He was also the first one to introduce me to ‘Doongerwadi’ (The Tower of Silence), which is the Parsi cemetery in Mumbai. When an old relative died and I had gone there for the first time, Pappa took me around the place, showing me the model of the well, explaining the ritual. It is a beautiful green sanctuary in the middle of a bustling city. I felt so much at peace out there and just being with the man I cherished so much has helped me retain the memory of that afternoon, as fresh as it was that day when I was only 7! eeling unwell. But being dependant on someone cannot be a good feeling for an independent man like him and he soon starting talking about leaving us. “Khuda mane maari Mehroo (his dead wife) ni aagal bolavile” ( Oh God, please call me soon to my beloved Mehroo). He would talk to us about the good old days (he had fond memories of the British rule in India), about the Zoroastrian religion history, about his deceased wife, his days of childhood, his days working at the mill. Now that he could not go out much, he loved people coming home to meet him. He would look forward to enjoying his regular glass of brandy in the evenings. His main companion in those days was my paternal grandmother who also used to be mostly at home and they both used to give each other company. After her death in 1999, he became even more lonely and started spending more time watching T.V. Among other things, he loved watching cricket and I loved listening to his running commentary about how useless our cricketers were specially when India was losing! Since he could not go out too much, we started celebrating his birthday every year by giving a party and doing a family reunion at our house. He would really look forward to his birthday party and would discuss the menu with my mother for days in advance! On his birthday he was allowed more brandy than normal and more cake than normal too! My cousin and I used to love troubling him by kissing him on his cheeks simultaneously. “Cheee, dirty jeva, mane fulla thase!” he would admonish us. Slowly but surely his humour re-surfaced, he would share more of his quotes and jokes with us and this time I started writing them down for posterity sake, cherishing each one. In December 2001, on my wedding day, in the absence of my father, I insisted that my Pappa walked me down the aisle. He kept arguing, making excuses, saying his leg hurt, he would not be able to walk without his walker, what was the need, etc, etc. Mummy even suggested that my uncle could walk with me, but I was adamant that it would be my Pappa and no one else who would do the honours. And he did! Walked me nice and proud down the short ‘agiary’ (fire temple) aisle, looking extremely handsome in his ‘Pheta’ (Parsi headgear) and ‘dagli’ (traditional clothes), both of us holding onto and supporting each other. After my marriage, I kept visiting home regularly as I lived very close-by, to meet him, talk to him, even if for a few minutes. In 2004 my elder son was born and I spent two whole months at mum’s house sharing the room with Pappa. I think that was the longest period of time I spent with him after my marriage. It was 2006 and I was getting quite fed up with my work-life imbalance and I finally decided to quit my job. Even before I announced my decision to everyone, one evening I went to meet Pappa, carrying all his favourite street-chaats from 5-gardens pani-puri wala. There I spent the whole evening chatting with him, both of us eating our favourite evening snack, and at that time I told him about my decision to quit the corporate world. Going by his own experience, Pappa was not too happy at first, saying that it would get boring at home and difficult to get back to work. But when I told him that I had given it a lot of thought and really missed out on bringing up my son and my need to be with him, he agreed with me and blessed me asking me to go ahead. That was all that I needed and in retrospect I was so happy to have spent that evening with him, because almost a month later he suddenly developed an infection in his leg, was hospitalised and never came back home. On Sept 11, 2006 Pappa left us and went to meet his beloved Mehroo in the other world. “Un marijaoun pachi hun tane Chinchwad na pool parthi haath karas,” (After I die I will wave out to you from the Chichwad bridge (the path leading to heaven)). According to our religious texts the soul goes to that stage on the third day after death. And I had waved out to him. Pappa, I would like to believe that you are still looking after me, that you are listening to me every time I talk to you or think about you. I hope that you were finally able to meet your wife and are now living happily once again with her. I hope you were there to welcome Aban aunty when she left this world. That you along with your wife and her parents held her hand and led her soul all the way up to heaven…..away from this world where she had worked so very hard all her life…making sacrifices for her near and dear ones. I hope you have taken her to a far, far away land where sorrow or pain does not exist, where she can finally rest in peace and watch over her children and her family, albeit with her favourite drink, a glass of brandy in her hand….cheers to that! Your Grandpappa was a great old man . He and I connected the very first time we met outside your dadar house . Though I met him only a few times , he showed a certain strength in him …… even at his old age and the way he would gauge what one said was remarkable . You were very lucky to have such a sweet grandparent to watch over you . Thank you for your comment and your addition to my box of memories about my Pappa. You are right he did have the ability to make strangers feel absolutely at ease and you two clicked in an instant! So happy that you got to meet him too. Beautiful and touching recollection Mehroo! I believe I have met your pappa once at your Lonavala bunglow…God bless him…I still remember the Dhanshak I had for lunch, you are very lucky to have such a close knit and loving family! 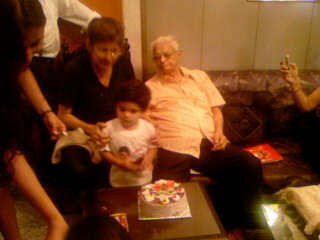 Mehroo, grand parents are always very special. We come to cherish them even more when we come of age. Did you actually read the whole post…did not realise how long it had become till I finished writing! Thanks for reading.